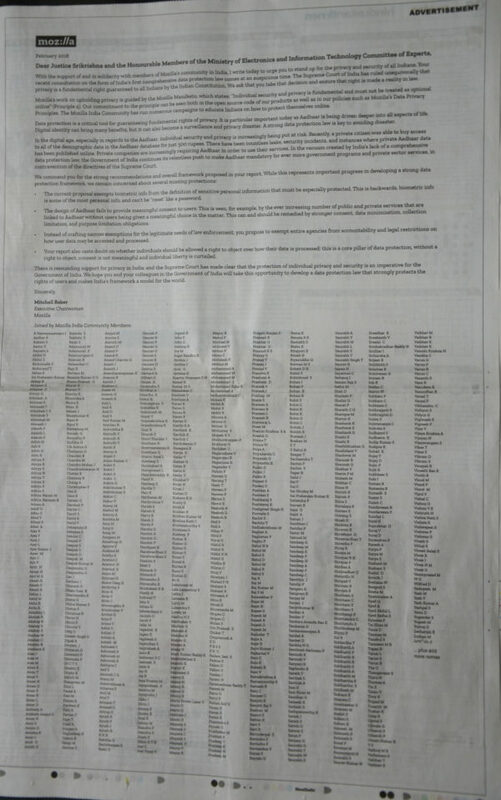 Note: This open letter, penned by Mozilla executive chairwoman Mitchell Baker, appears as a full-page advertisement in the February 9 edition of The Hindustan Times. 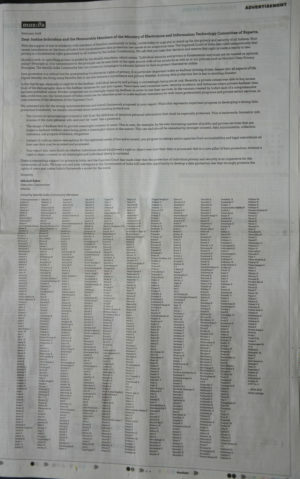 It is co-signed by 1,447 Mozilla India community members. To learn more about Mozilla work regarding India’s data protection law and Aadhaar, visit https://foundation.mozilla.org/campaigns/aadhaar/.